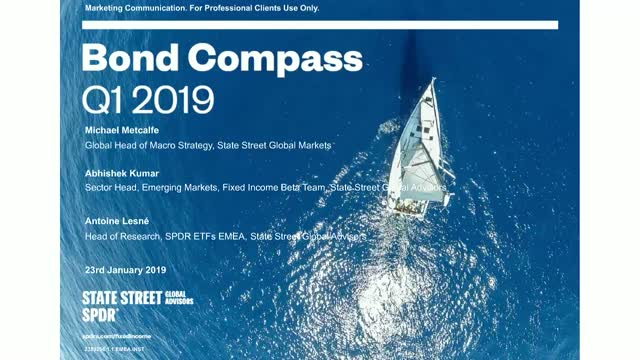 SPDR ETFs’ quarterly Q1 2019 Bond Compass report provides unique insight into the fixed income market via a snapshot of both institutional investor flows and holdings indicators*, extracted from a wider data set that represents $10 trillion of assets*. •The latest data from PriceStats®, an innovative inflation tool tracking daily price changes of millions of online items across the US, Europe and emerging markets. Antoine will also interview Abhishek Kumar, State Street Global Advisors’ Portfolio Manager for the emerging market debt local currency fund, to discuss the opportunities and challenges for investing in this exposure.